Makes it easy to charge up to 15 lights at a time from 1 outlet. Please call for details. Both models come with a padded travel pouch. There are more cordless lights available today than ever before. The following information will help you know what features to look for and how they affect the quality and usefulness of a battery powered light. can get a lot of light from a small battery. Lotus Light uses the best LEDs available. They produce pure white light for maximum contrast and they diffuse the light to eliminate glare. Cheaper LEDs produce uneven, bluish colored light. Lotus Light uses many small LEDs to spread the light evenly. Cheaper battery lights create bright spots because they use just one or two LEDs. ONLY where you want it. Our flexible arm and shade design allow you to focus the light where you need it so it doesn’t annoy others. 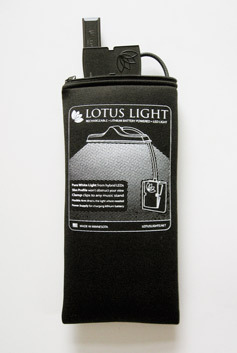 Constant light output is a feature found only in Lotus Light. Our custom engineered power circuit controls the current going to the LEDs so as the battery runs down the current is “stepped up” to keep the light level constant. Lotus Light PRO6 stays at full brightness for 4.5 hours before it begins to dim. The PRO14 will last for 3.5 hours at full brightness. All other lights gradually dim as the batteries run down. For this reason, other manufacturers can’t really say how long their light will run on a fresh set of batteries ...what amount of dimming is acceptable? Like other modern mobile devices, Lotus Light is powered by a rechargeable lithium polymer battery. Plug in the included AC adapter and the battery will be charged in less than 3 hours. Lithium polymer batteries hold their charge indefinitely so Lotus Light will be ready to use when you need it…no matter how long it has been since you last charged it. Cheap lights use disposable alkaline batteries which are costly and toxic to the environment. rather keep the work here. without the cords and hot bulbs. And it is rechargeable so there are no batteries to replace. When you experience how convenient Lotus Light is you will discover many other applications: travel light; podium light; book light; art light; task light; keyboard light; accent light; trouble light… It is even used in hospitals to reduce the chance for error at nurse’s stations. Lotus Light will be your light for life. return it within 60 days for a full refund. 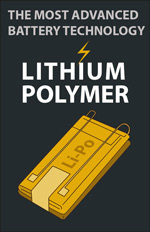 Both models include neoprene travel pouch and power supply. We offer discounts on orders of 2 or more lights. Our service is better than Amazon PRIME. It's FREE, same day PRIORITY MAIL and a HUMAN will help you if you need anything.